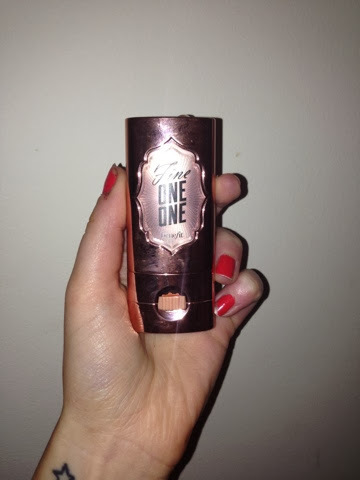 Alongcamepollly: A few reviews of recent purchases from Benefit and my favourite tan of all time! A few reviews of recent purchases from Benefit and my favourite tan of all time! No, your eyes do not deceive you, this is my SECOND post this morning. I figured after a week of unfulfilled promises I better get writing! So here are a few if my favourite products in my make up bag which I bought recently, and a few tips on how I find they work best. The first is something that I was waiting for ages to arrive in Ireland and when it did I bought t straight away. The product is from Benefit and it's their 'Fine One One' blusher& highlighter stick. I'm a huge Benefit fan and aspiring Benebabe to add to the already rapidly growing list of things I'm 'aspiring' to be; I'm also a huge blusher fan so I knew this would be the right product for me. 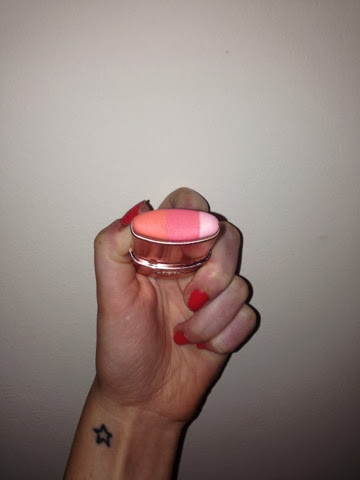 This is a twist up creamy three-part blusher stick with three seperate colours. The way to use this is to apply it to the cheeks with the highlighter part facing up (towards your eyes) so this will give the perfect glow and sculpt your cheekbones with a fresh colour. It is a creamy texture, and you only need to gently rub it to blend it in, so, unlike some other cream blushers, it won't move your foundation. The colour can be as strong as you want it depending on how many layers you apply, hence why mine is nearly all gone after one month. I use this for my everyday makeup because it gives the cheeks a very natural glow! The next product is another one from Benefit which I love so much. It took of bit of practice to get used to it, but now that I've figured out the best way to apply it, I won't be changing anytime soon! 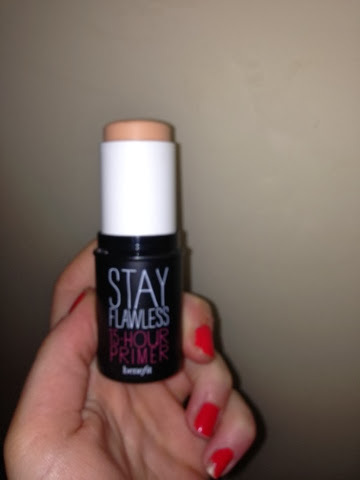 The product is Benefit's Stay Flawless 15hr Primer. To find a great primer is one of those great life achievements to a woman, much like finding the perfect foundation, pair of jeans, or bottle of wine that won't make us feel like we partied with satan in the pits of hell the night before. Well ladies, I may have the solution to one of those problems! No, it's not the wine in afraid, but I think I have found the perfect primer. 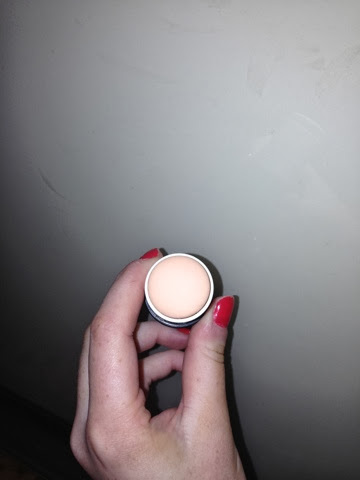 This little miracle worker comes in a stick form, (I'm loving stick things these days, take from that what you like) and has a weird texture, almost moist, but once it goes on the skin it seems to disappear quite fast. It looks like there is a colour in it, but when applied to the skin no colour can be seen. So, the trick with this is to apply it in circular motions on the entire face. Now, the mistake I made the first few times I used it was using way too much which resulted in it caking in places on my faces once I applied my foundation. So just one layer is enough, a rule I use when applying it is, the 10 second rule. Use it all over the face not applying it to any area twice and it should take no more than ten seconds for the entire face. As soon as you're done apply your concealer if you use it, or foundation straight away. Fingers are fine but I did find as soon as I used a brush to apply it made the primer work alot better. The point of this is that your make up will stick to the primer and not to your skin which means it will last alot longer. They claim 15hours of wear, I have yet to leave my make up on that long, but I have worn it for about 12 hours and I have to admit it really does work. My make up hadn't moved, and my eyeliner wasn't under my eyes all smudged as it usually is! All in all, if I could take this primer with me to a desert island and live a happy life just the two of us for the rest if our lives, I would. I'm so impressed with it and it really does what it promises. Now, it is quite pricey at €35 but I really don't think I could go without it now, and I genuine think it's worth the money. I used to use a Catrice Primer which was very good but the staying power of Benefit will be hard beaten! Next is my favourite false tan ever. I have tried them all and loved many but once I used Vita Liberata I knew I would never change back! I am quite the little Casper without tan, and with only pure laziness as my excuse for not wearing tan more often, when I do eventually put tan on I always turn to this. The colour of this is perfect for me. It is dark but not Tina off Coronation Street. It is a gorgeous natural brown tan colour and I have never found it to streak. The colour goes on like a dark creamy gel form which is very hydrating, and it's great because you can see the colour going on. 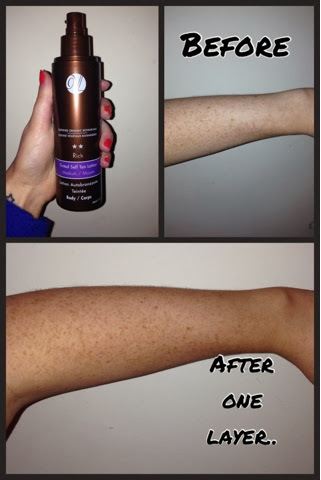 It comes up instantly but does get darker after a few hours or overnight so don't be going too mad with the tan glove! 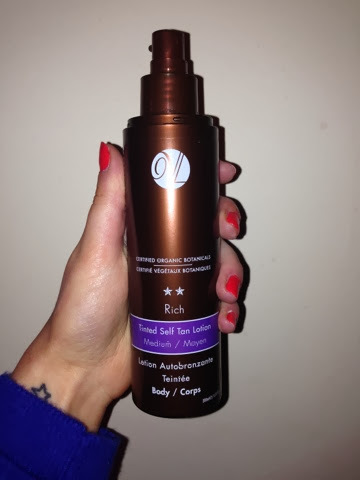 This is a paraben free tan and contains organic ingredients, which youur skin will love you for and it's also made in Ireland which is even better again! There are so many different types in the range to suit all skin types and tanning desires, from a darker gel, to a very light mousse, they even have the 'Phenomenal Tan' which us a mousse claiming to last up to 3 weeks! I have used this and the colour alone is just gorgeous, and although it definately doesn't last a full three weeks, I got a good 2 weeks of colour from one application! Even still, I always go back to this gel as it's quick, easy and it's the nicest colour. It's also a great price at only €25.99. And here's a shameless plug for my place of work, we have a really nice gift set with free products and the tan for under €30 in Foody's Pharmacy! One bottle would usually last me about five full body applications, and you would probably squeeze a bit more. So there it is my short review on some of my favourite products!